Today at Momsie, we’re going to discuss one of my favorite topics: ME. And let me begin by saying, it is a complex and wonderful topic, ME, so this post is gonna rock it. It is possible that humility might not be one of my strong points, but today brevity will be, because I got three pies to bake (none of them are custard, alas; I learned my lesson there and just even the thought of egg anything makes me a little blegh) and a whole lot of ziti and Italian sausage to throw together for the family. Selfless deeds, all this cooking stuff. I am just that wonderful. 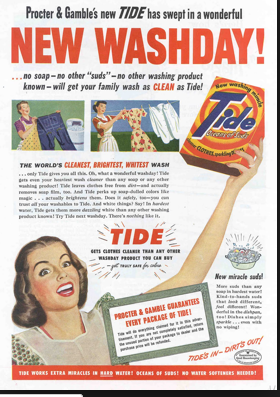 I look like this when I do my laundry. Apart from mopping my father in law’s floors (which we will probably need to do after this visit) I will COOK. Like, a LOT. It’s my thing. It keeps me busy; the children come to me occasionally for sugar and a hug; the husband is happy because I am not puttering about him and endlessly suggesting things like, “Why don’t we turn the game down a bit? Why don’t you take the boys to the park? Why don’t you play Candyland? Why don’t you-” Which he interrupts with a look that says, “Take a hike? Just, go away? Consider therapy?” If I just get in the kitchen and get cooking, the glass decorative items have to fend for themselves (sorry Grandpa), but for the most part, everyone else benefits. I got a present today! A lovely present!! 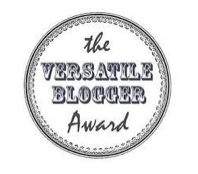 I was nominated for Most Versatile Blogger. ME! (I warned you – all about me today). And I am so happy. You know why? Because you like me… you really like me. And you read my words, and hopefully get a chuckle or a smile or get to just get to take a breath, and that just is the butter on my bread, the meringue on my pie. The frosting on my cupcake. Did you ever notice how all my analogies come back to food? It’s my thing. WELL SURE!! It’s my favorite subject, myself! I, myself would LOVE to tell you alllllll about, erm, myself. Just seven things? Really? 1. I struggle with catchy titles to lists. 2. I once really really wanted to be a backup singer for a band. The black bra/spandex thing? Not so much. 3. I really, really cannot sing very well. This has been made abundantly clear to me by my boys. When attempting to harmonize with my sweetie Josh Groban during “O Holy Night” Blonde clapped both hands over his ears and said, “No! NO! Please. NOOOOOO Mommy! STOPPIT.” Red just left the room. He’s the smart one. 4. I have a master’s degree in teaching and curriculum, and I have taught grades four through college. I have found that all ages are remarkably similar. College kids go crazy for manipulatives. And markers. And they forget their pencils just as much as the fourth graders. Then I call my husband, who gets me and is very patient and talks to me in a soft, soothing voice with lots of landmarks until I stop freaking out. 7. Jesus really did save me, when I was 28, from the big huge mess that was my life. And that, dear reader, will have to be a much less sarcastic post* for another day. So there ya have it. Momsie. In seven easy steps. I thank you for the nomination. It’s a present. I love them! You know what the biggest present is? 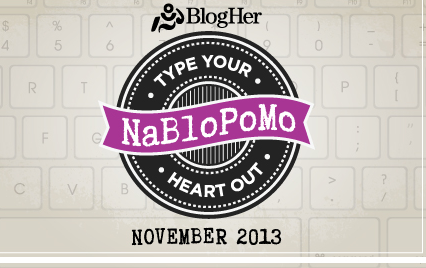 The hour (or so) a day I spend typing away at this blog, and you guys. Aw, you readers, you. You big lugs. (Big hugs, tousles hair, pinches cheeks). YOU are the butter and JAM on my bread, and I love you. * My lawyer wants to remind me and you that sarcasm with Jesus is a possibility with me. You are warned. Just not sarcasm AT Him. I don’t do that. He can handle it, but it doesn’t jive with me. I will however, keep lobbing sarcasm at most anything else that moves, breathes, or sleeps in my near vicinity. Next Thankful Thursday, of course.